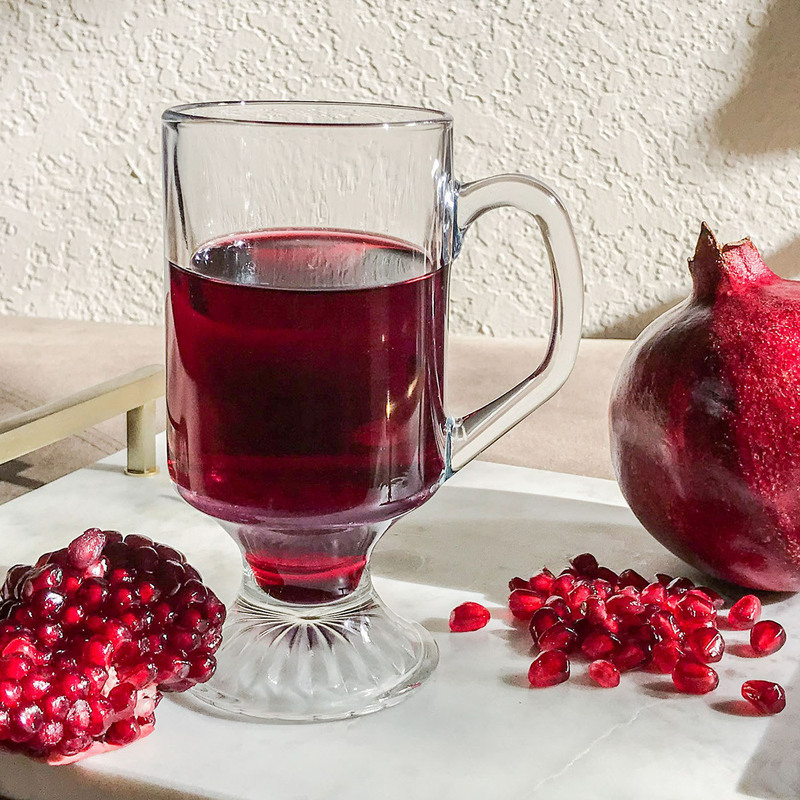 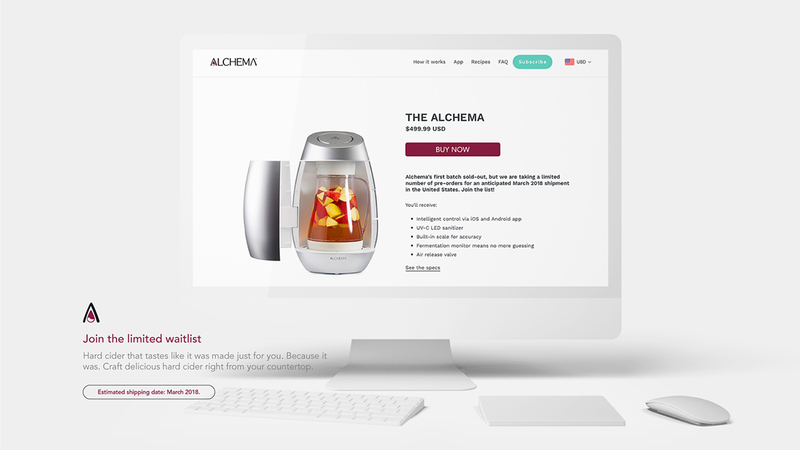 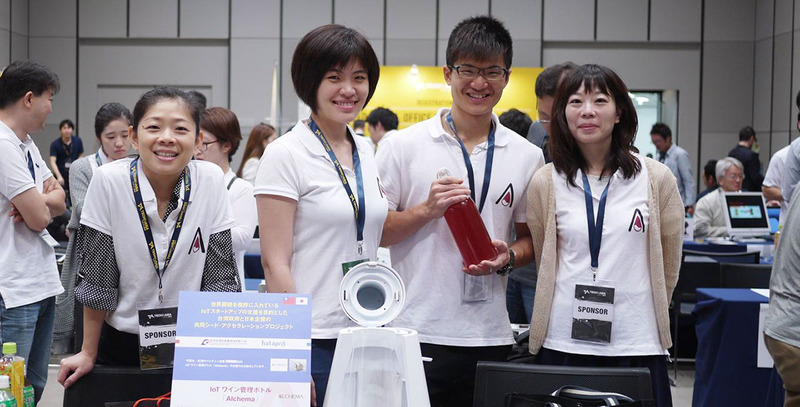 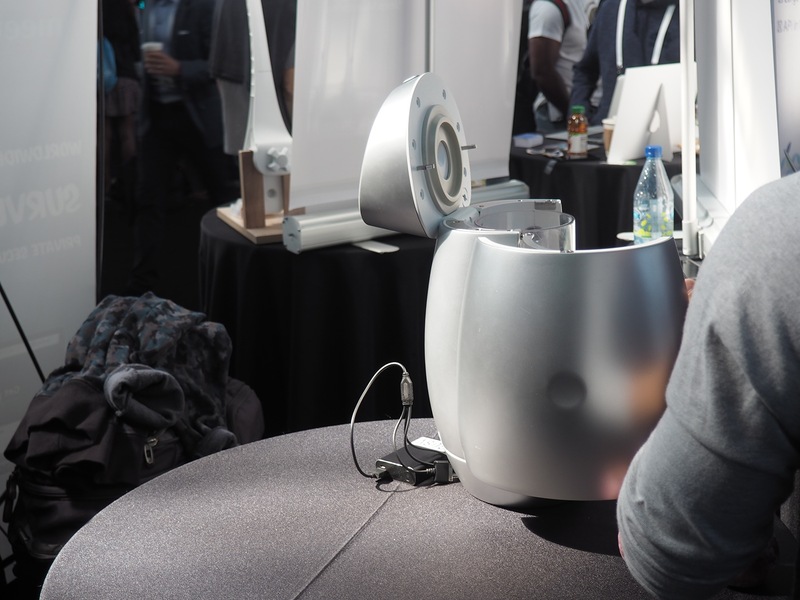 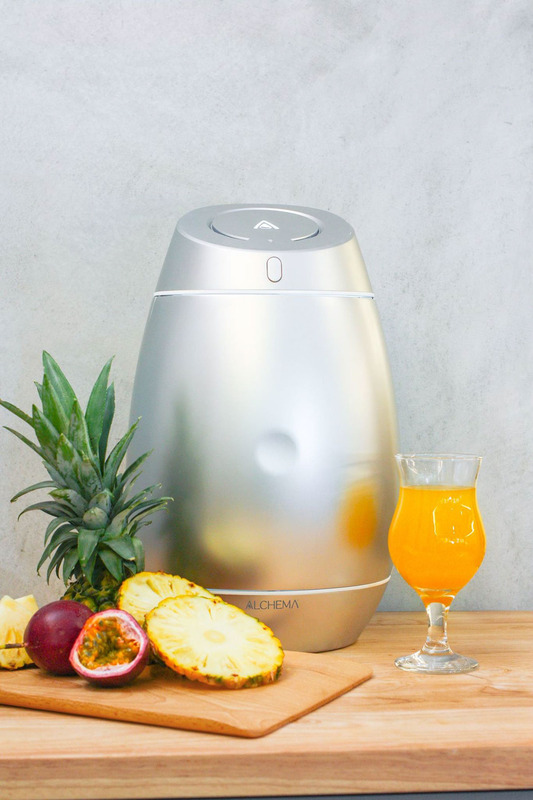 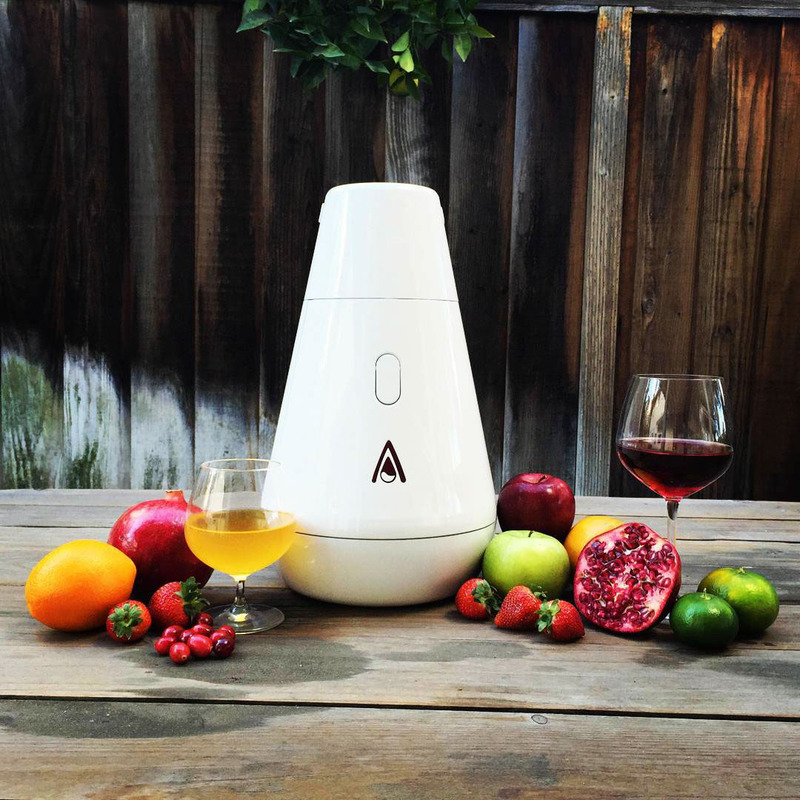 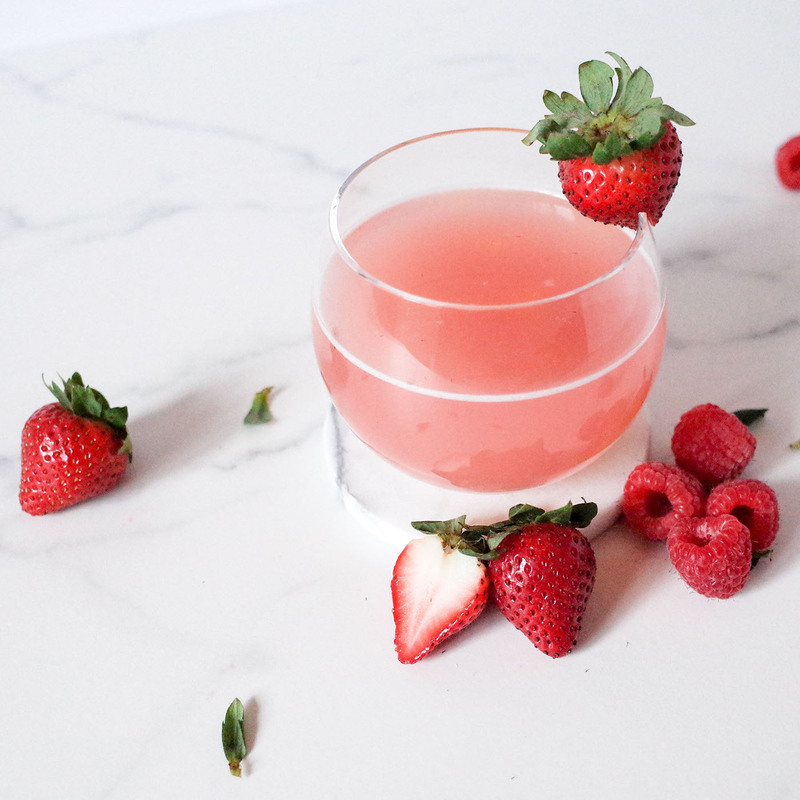 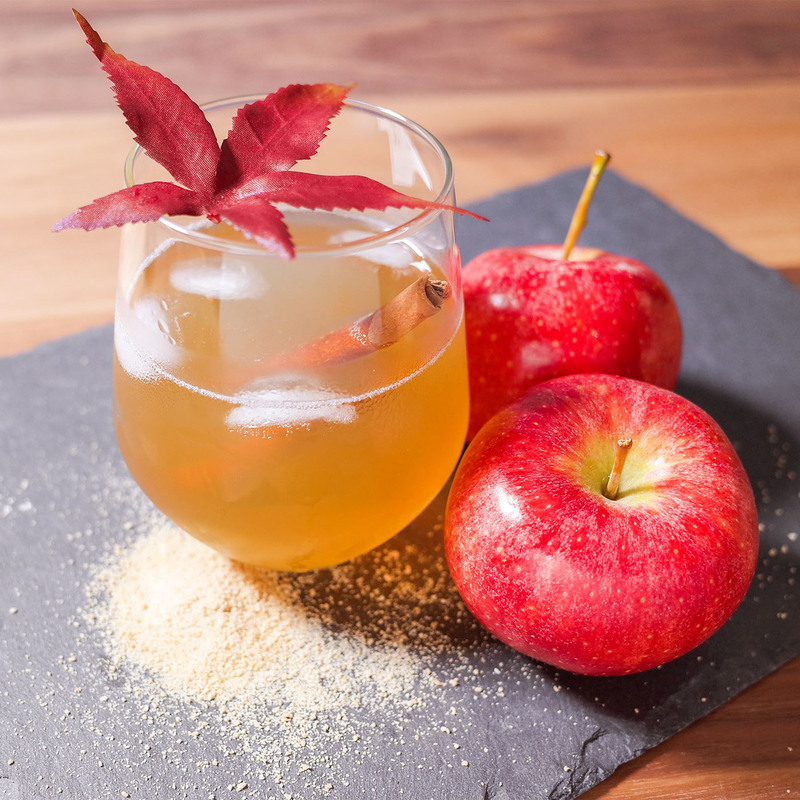 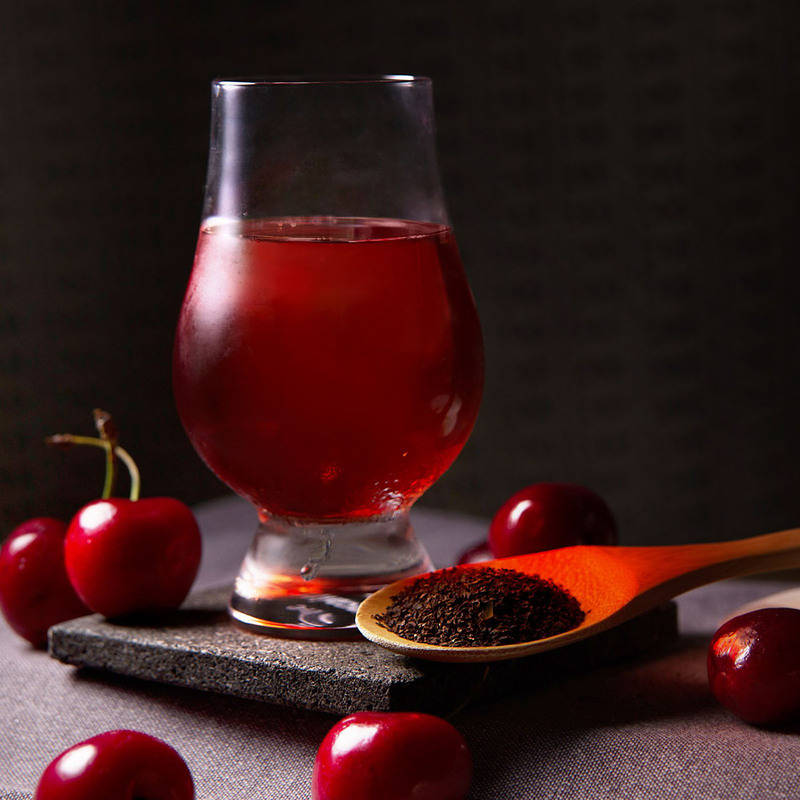 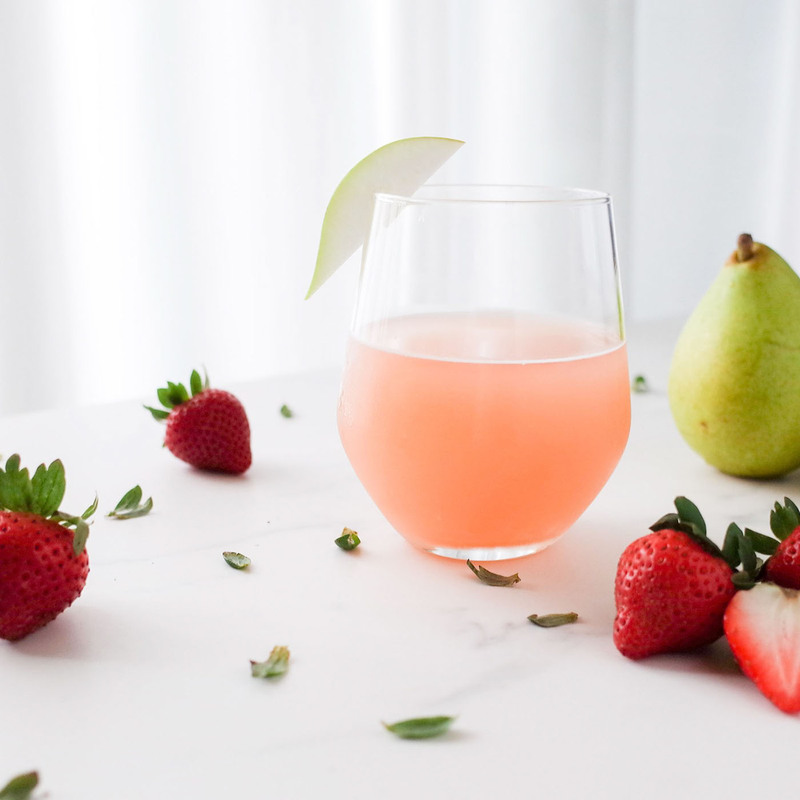 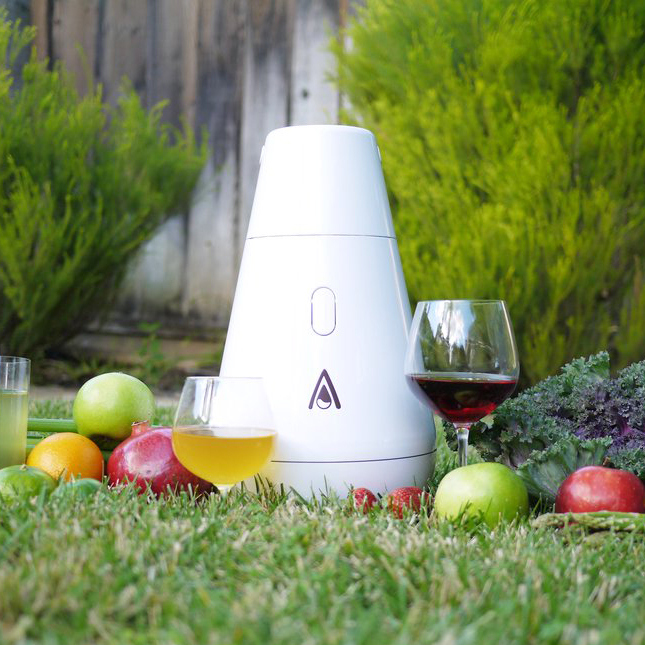 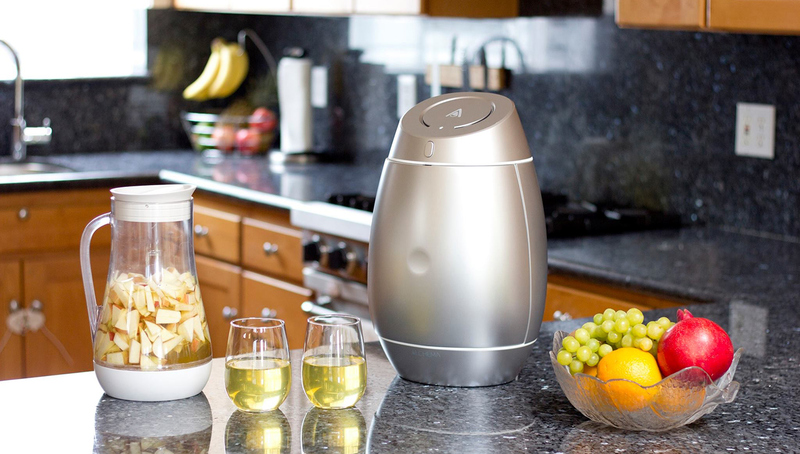 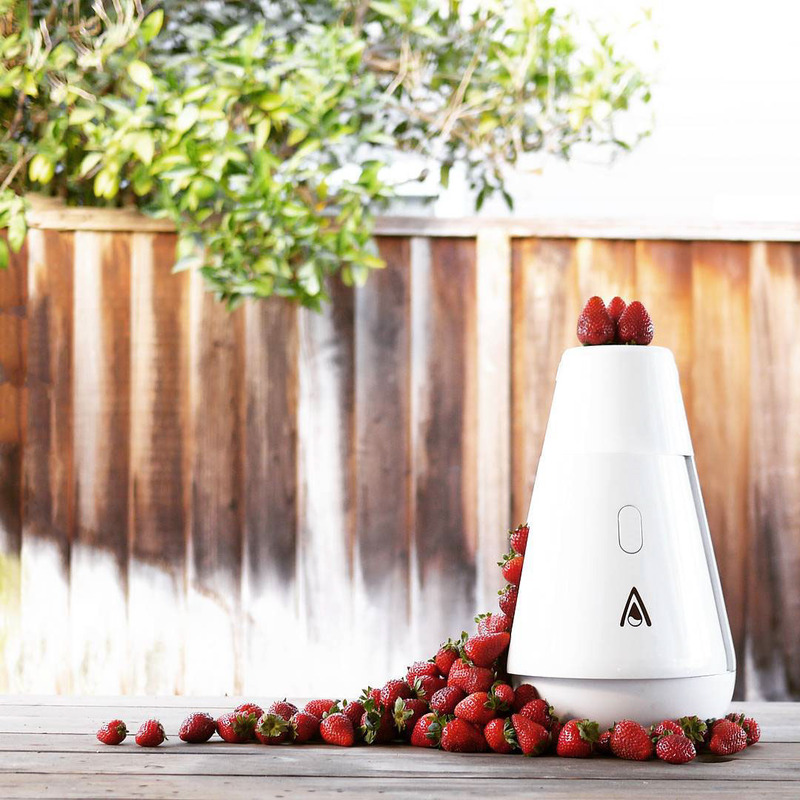 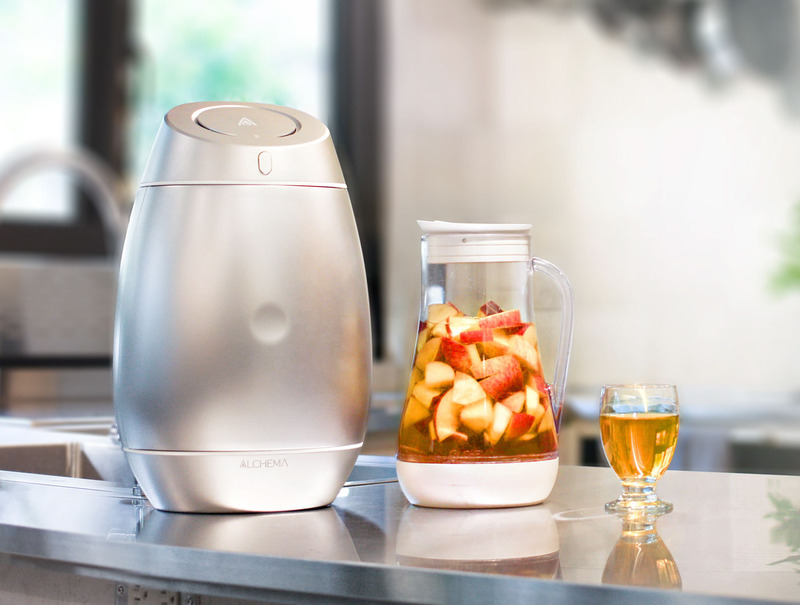 Developed by San Francisco-based entrepreneur Oscar Chang, the Alchema brewing machine turns ordinary pieces of fruit into a delightful pitcher of craft cider in just three steps. 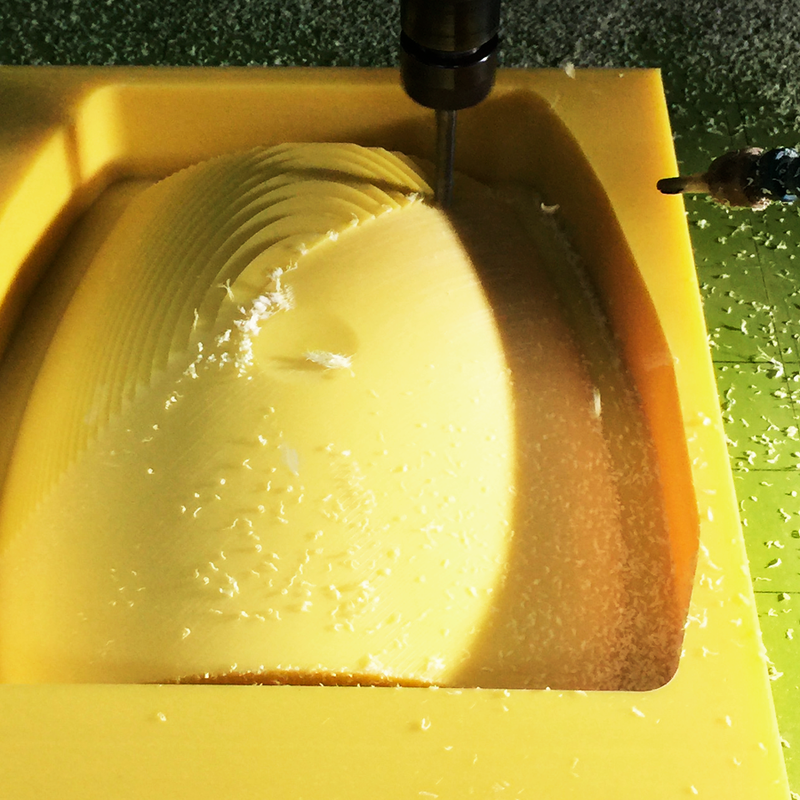 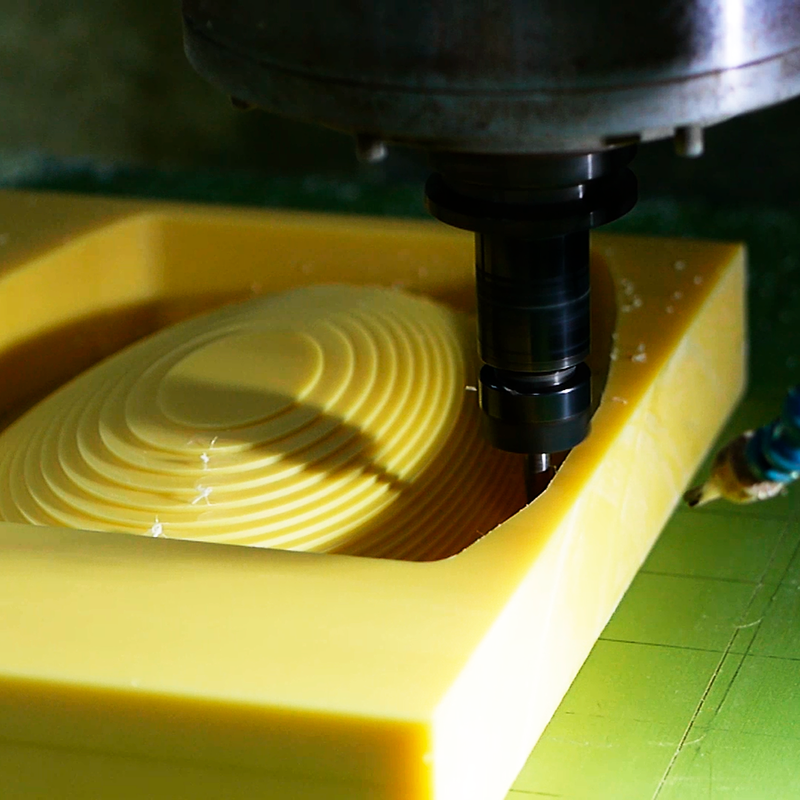 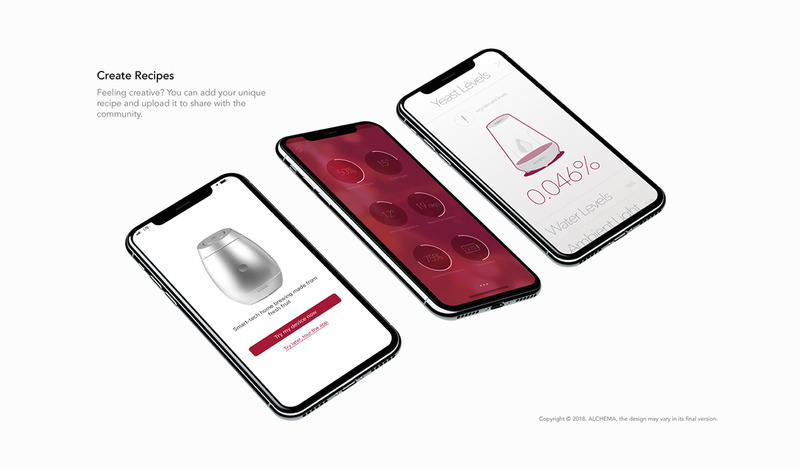 First, users browse and select their desired recipe via the machine’s companion smartphone application. 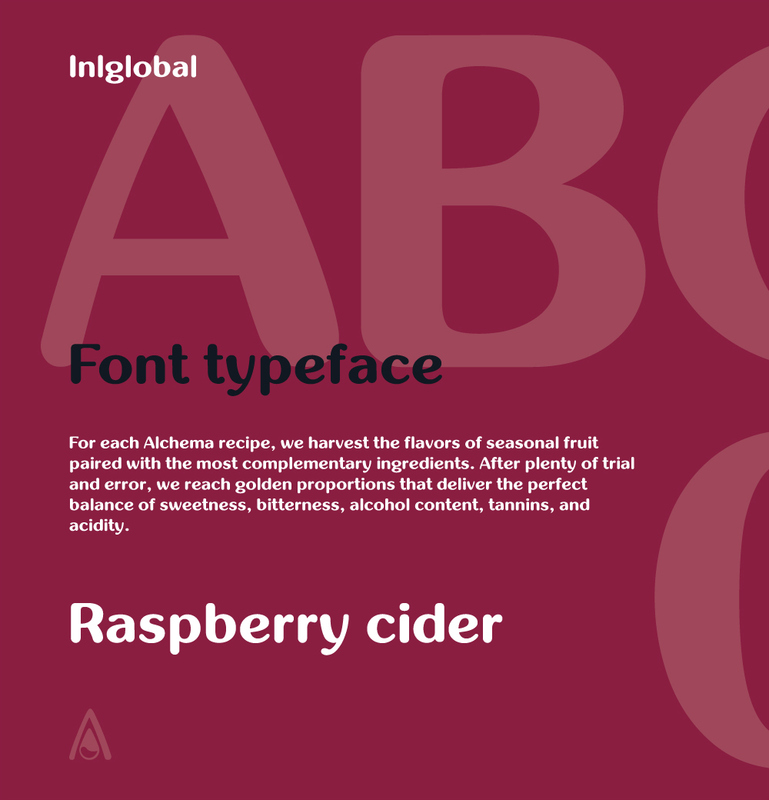 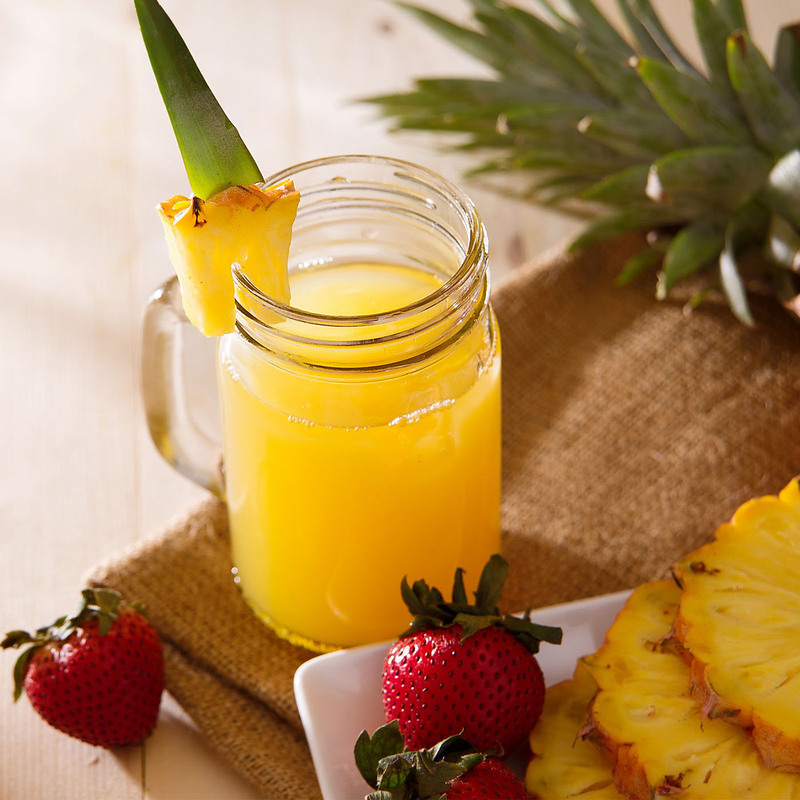 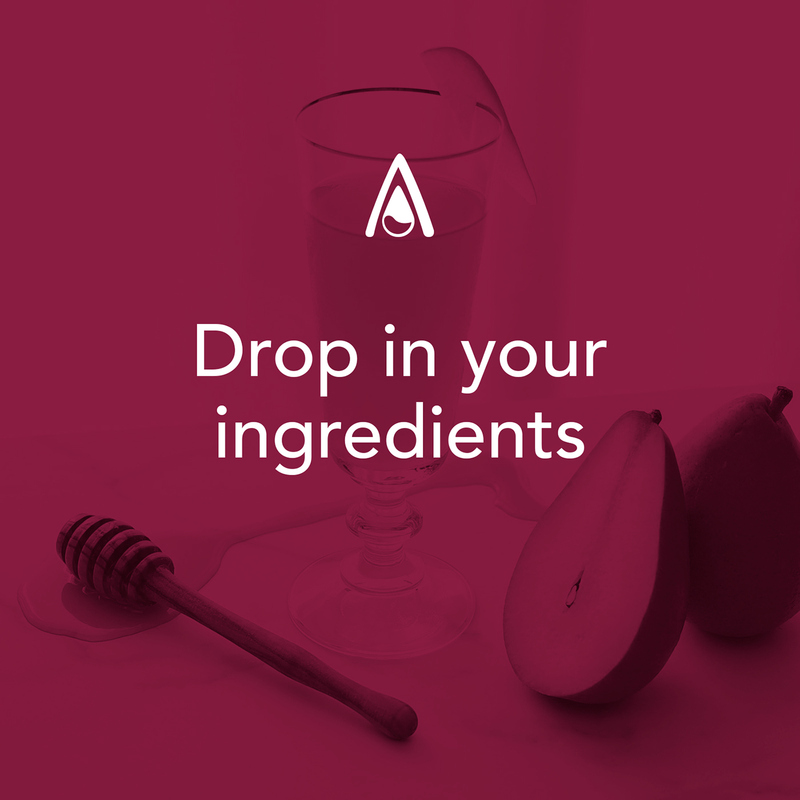 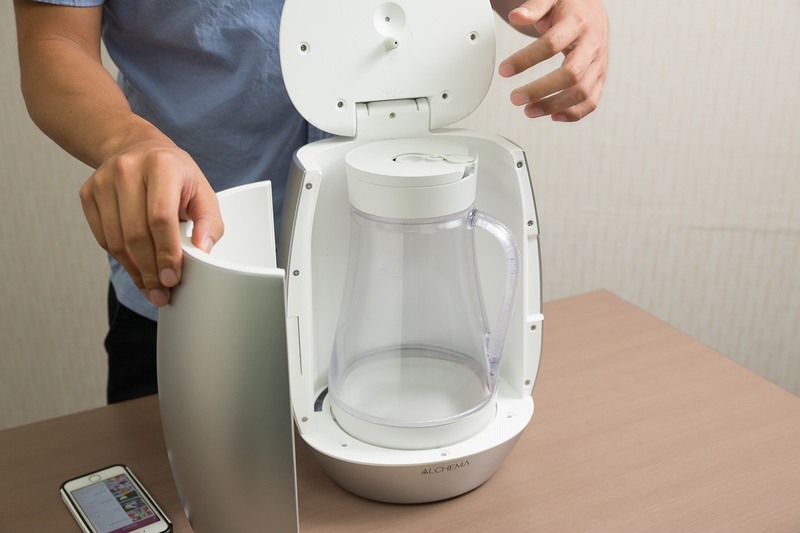 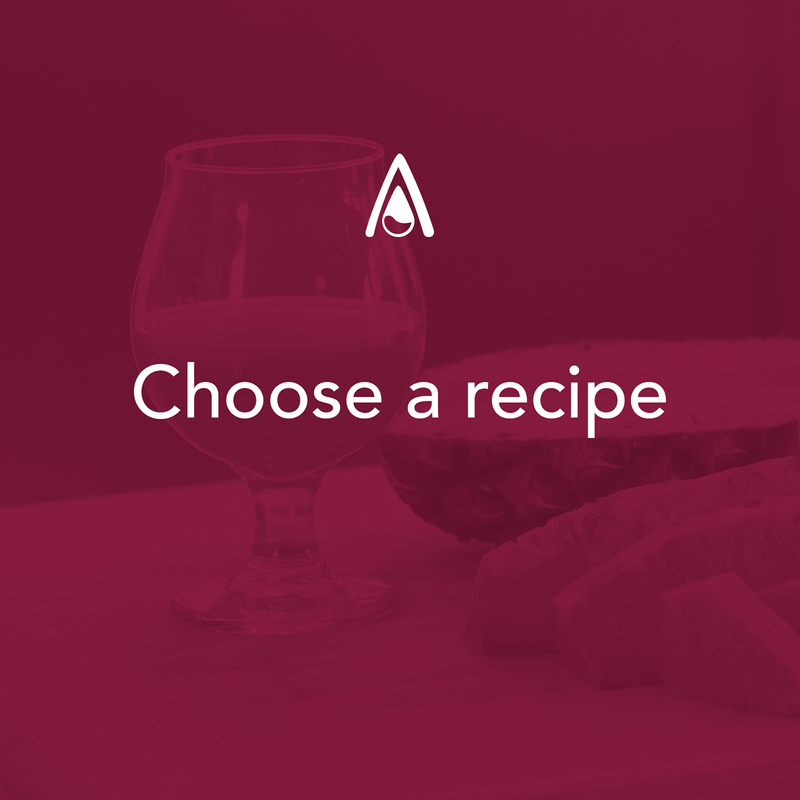 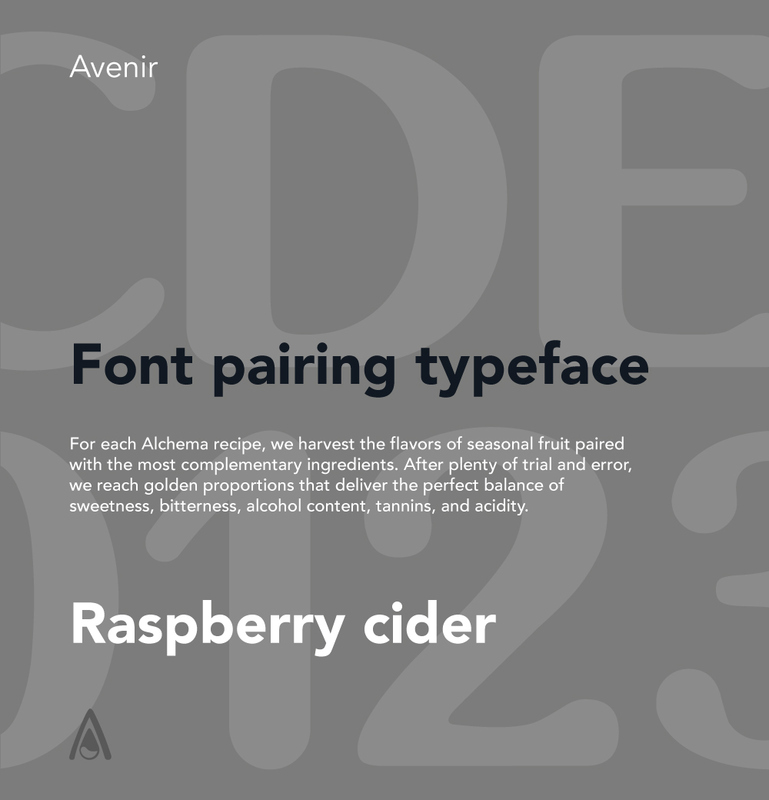 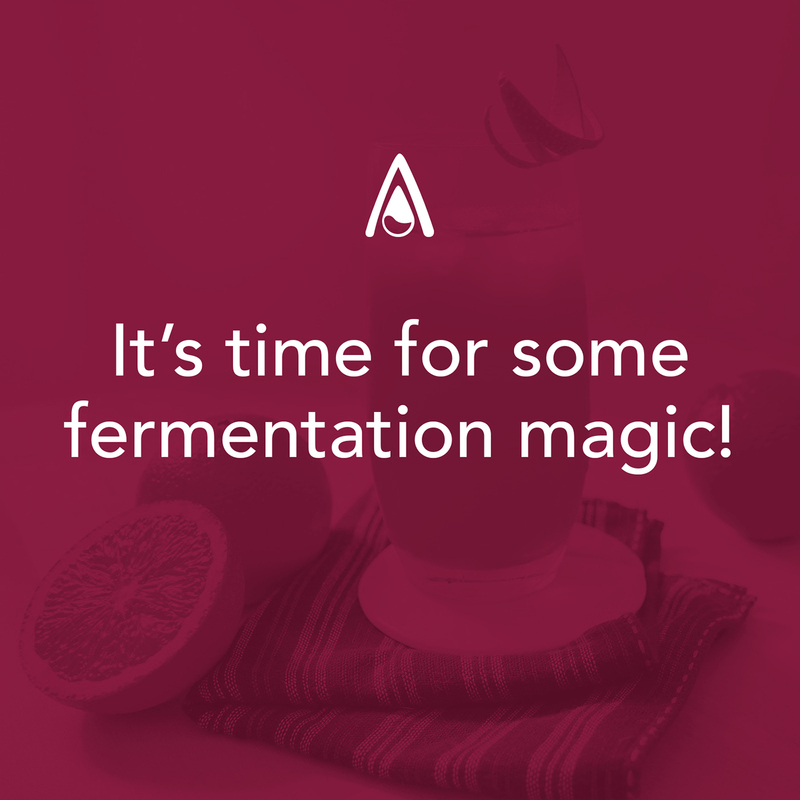 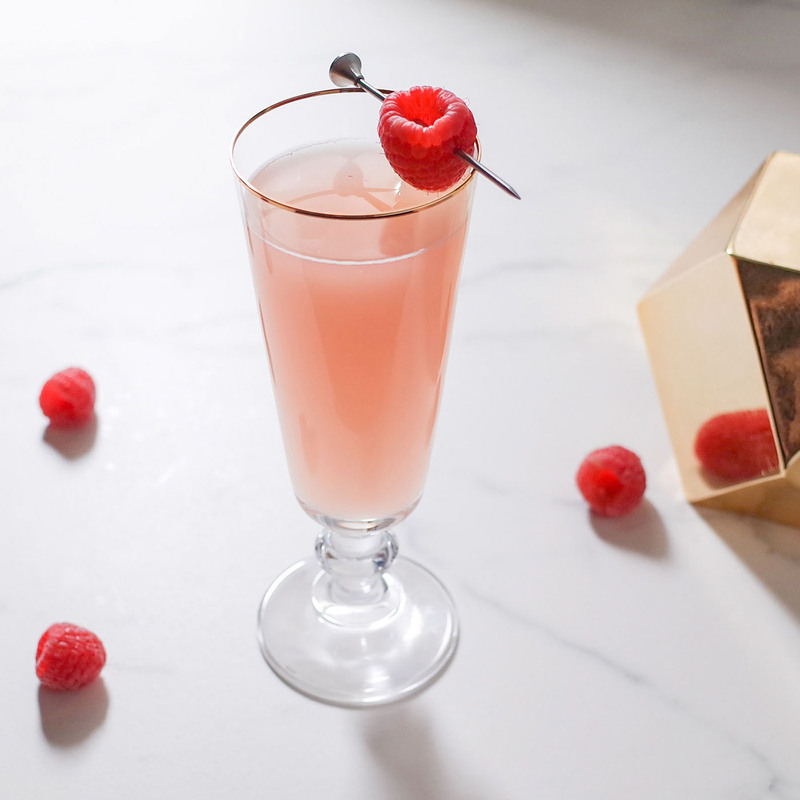 After doing this, they simply load the required fruit, sugar, and water into Alchema’s companion pitcher before adding a specific amount of yeast. 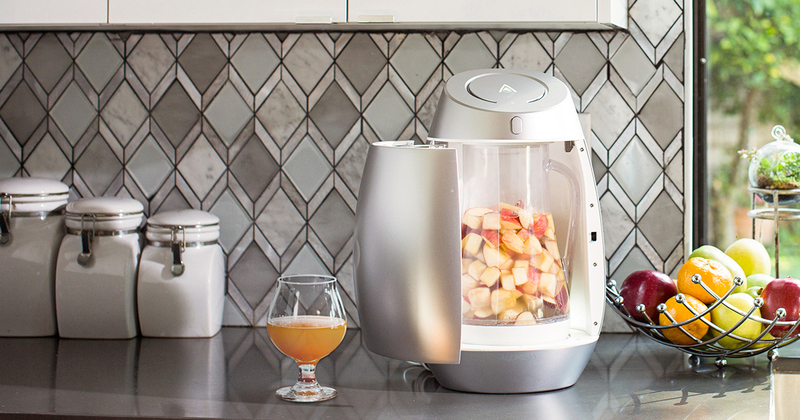 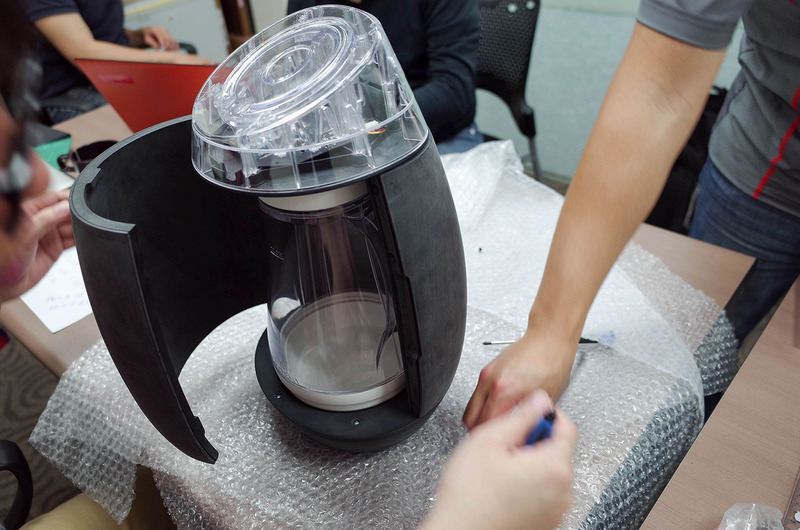 Once this is complete, owners then close the device’s door and wait roughly one to two weeks for the batch to ferment before enjoying the fruits of their labor. 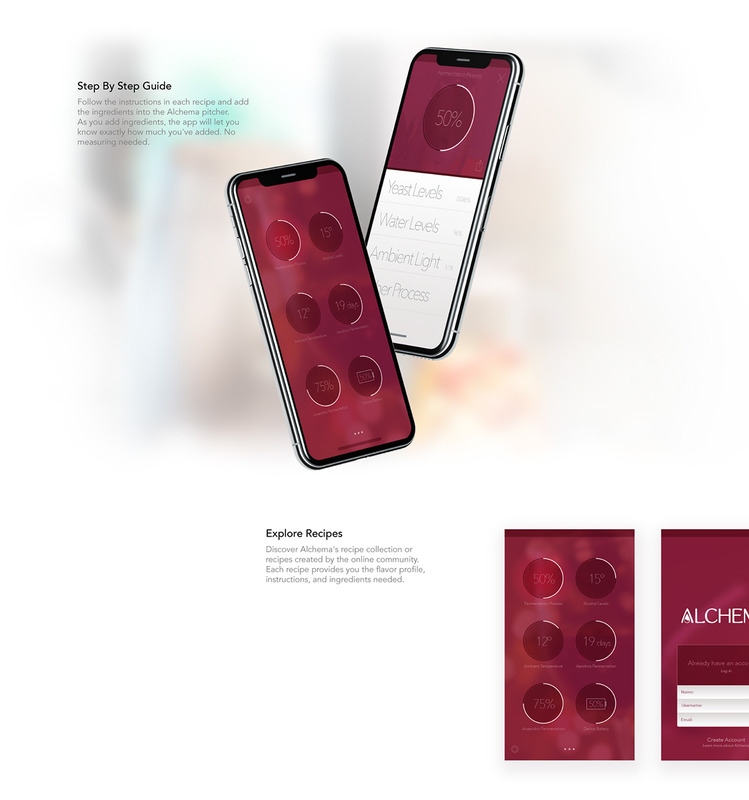 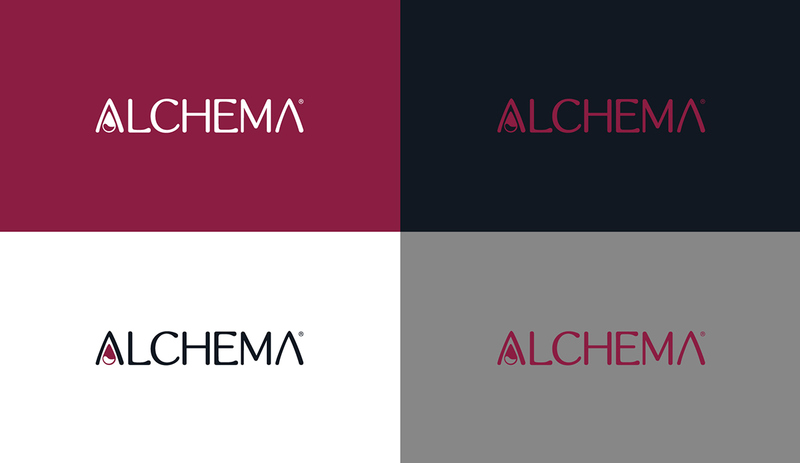 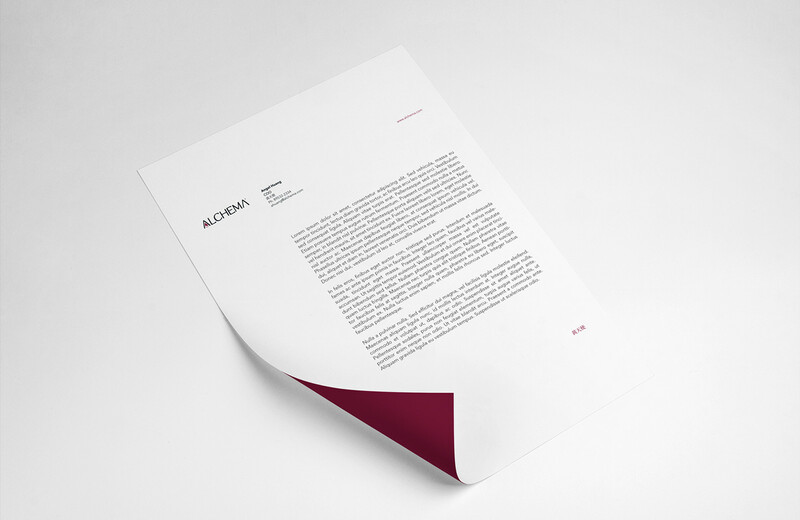 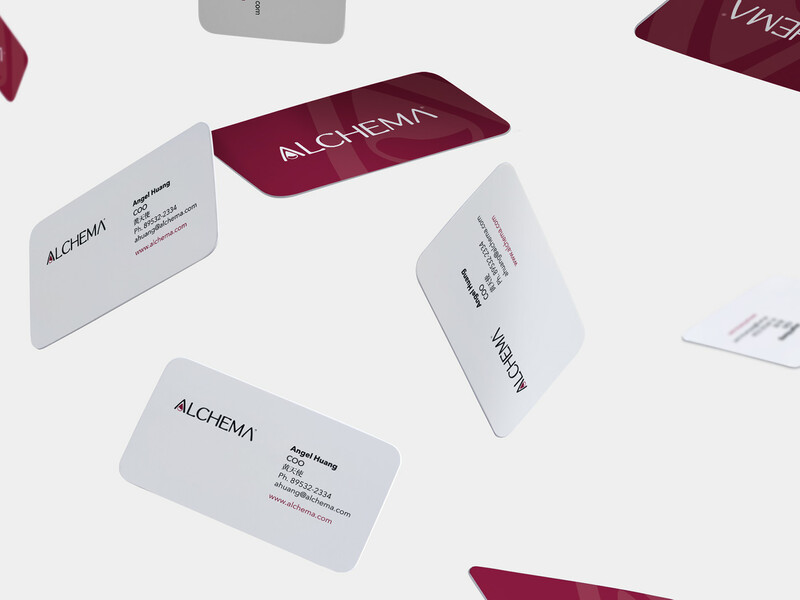 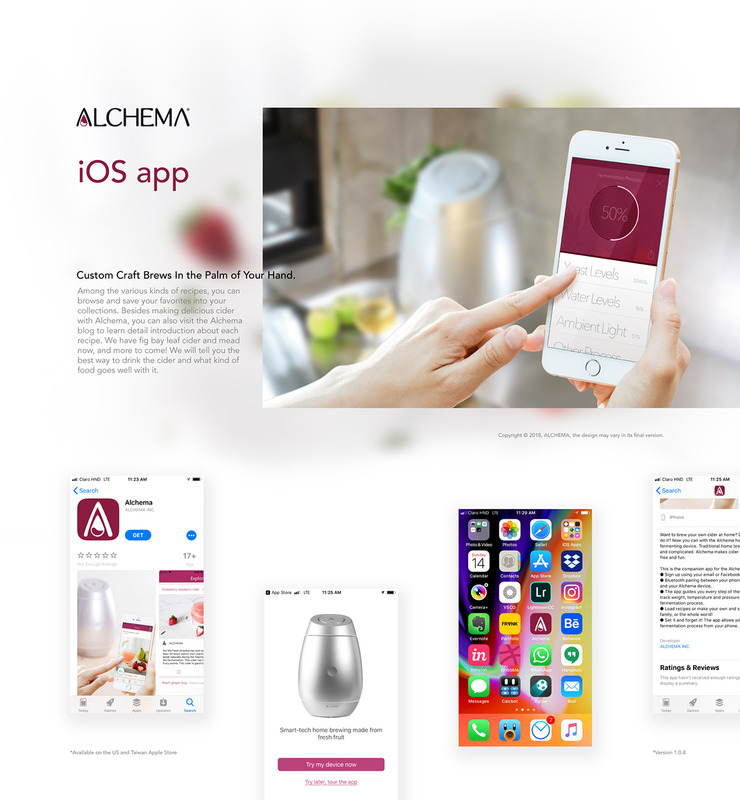 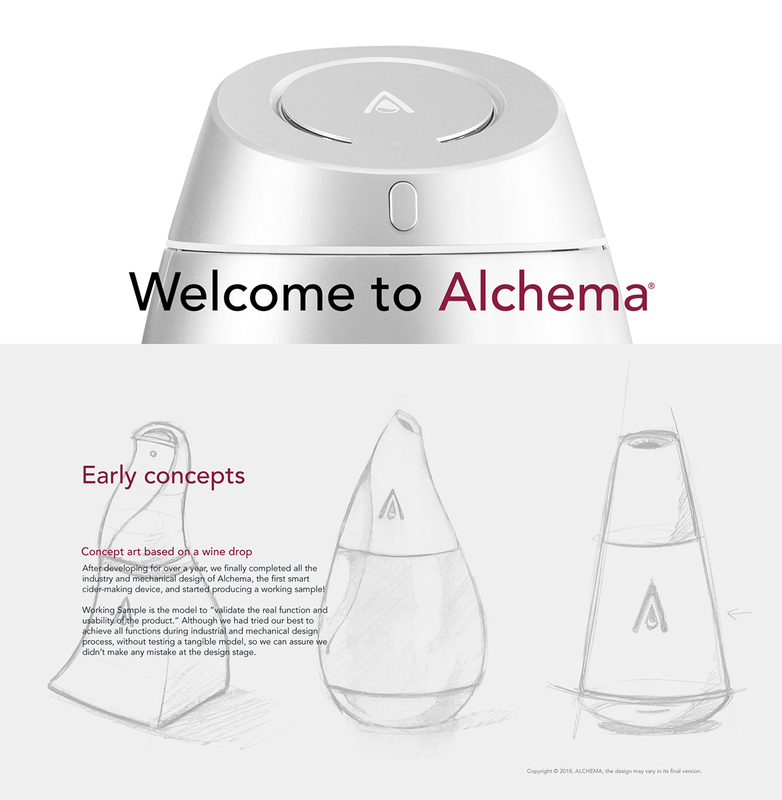 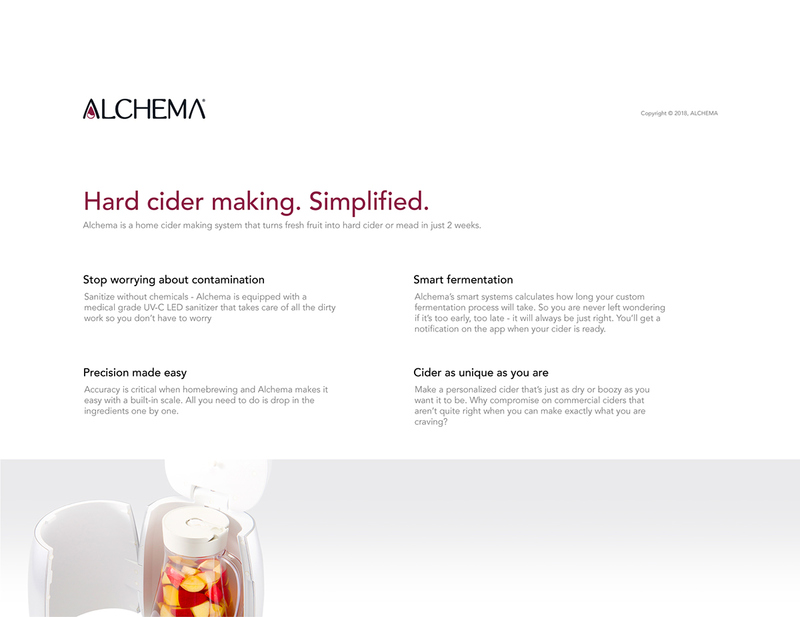 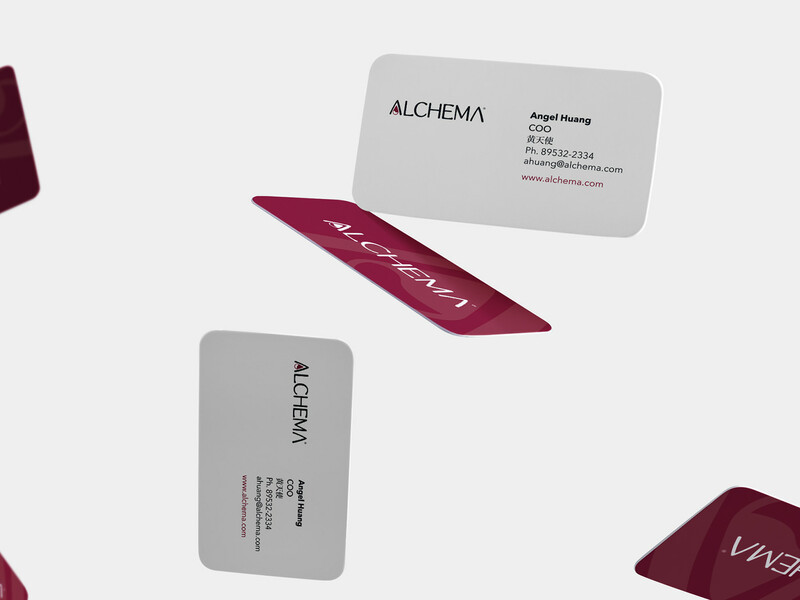 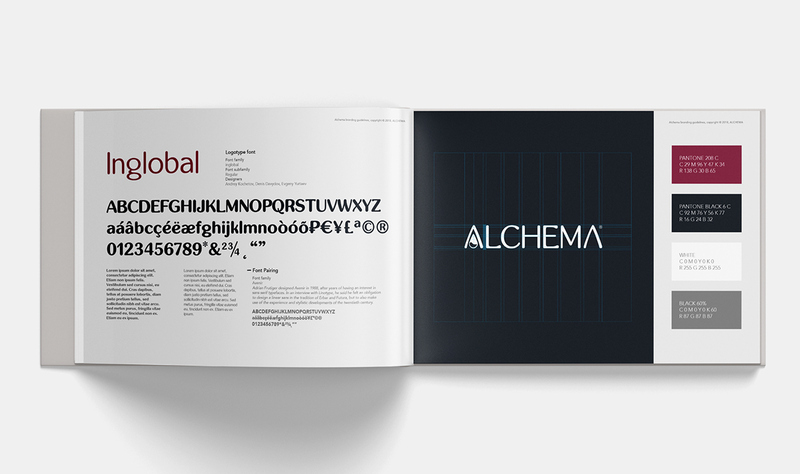 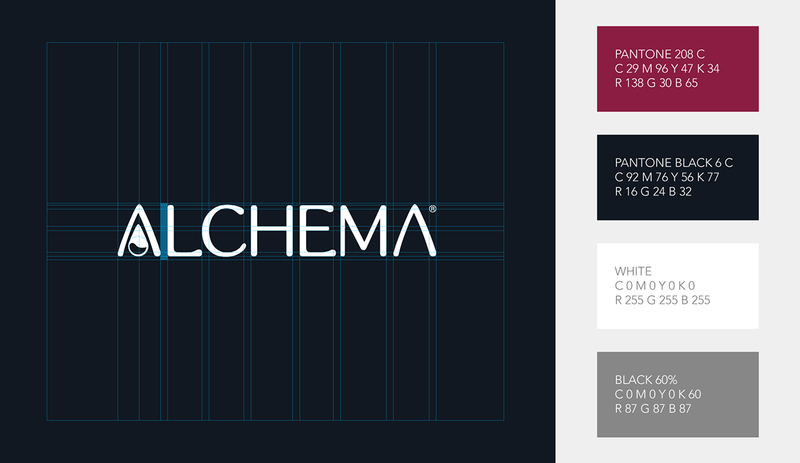 My work as a Freelance Creative was to develope the branding, guidelines, device concept artwork and the Alchema iOS app.